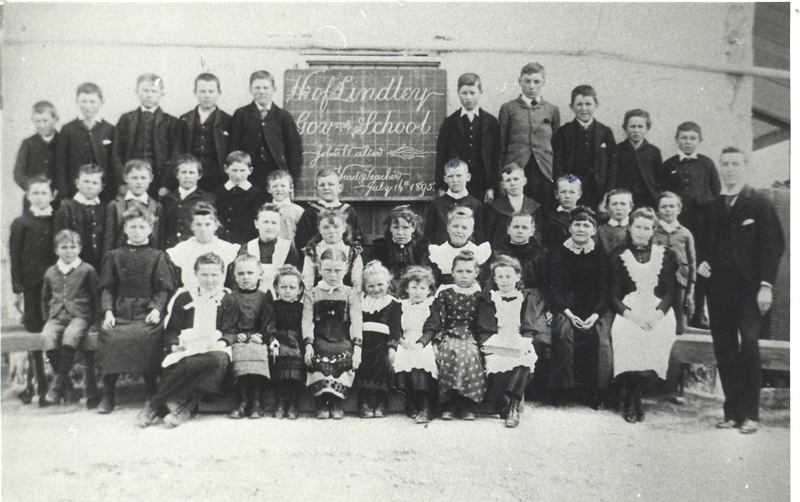 The older Kakoschke children all attended school to basic Primary level, which in those times was five years. 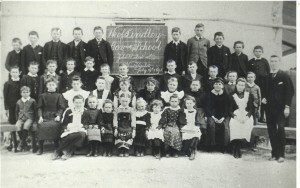 The children had to walk to the nearest school, which for many years was Lindley, a trip of six miles each way, but later, as transport became more readily available, the younger children attended school at Morgan. 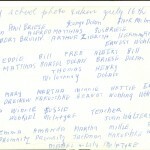 Some of them stayed with older sisters and brothers in closer to Morgan, to help in the homes as well as attend school. There was a rut worn in the ground where the children walked each day, and this was still visible amongst the grass in 1977. George, the youngest son, said that on really hot days they would quite often call in at John Mclntyre’s (who evidently was quite a character) and get a pannikin of cold water to quench their thirsts on the way home. As the family grew in size and age, the industry of the family also increased. Four pigsties were built to house about 60 pigs and two big implement sheds. They were built of tree trunks with forking branches as uprights to hold cross beams then thatch with straw. A big barn was built of stone with wooden uprights holding up a 3’ thick straw roof which was held down by netting wire to prevent the wind blowing it away. There was a big stockyard for the horses and other stock and a shearing shed. The cow yard had a big verandah to make shelter from the elements while milking each day. The family also built another cellar to keep all the milk, butter, cream, cheese and eggs fresh, before it was sent to A W Sanderford in Adelaide. The cellar was built partly in the ground and made of stone. (It was still standing, roofless, in 1978.) All the bread, rich German cakes, scones etc were also kept in this cellar. The Kakoschke’s also had an extensive vegetable garden and orchard which was one of the best in the district. Eventually the Kakoschke’s held four other properties besides “Swamp Farm”. EBA – which had a good dam, a stone hut, and was three parts Black Oak scrub with the rest under cultivation. VOIGTS DAM – a good block with a dam. The Kakoschke’s milked about thirty cows, and ran about sixty pigs and one thousand head of sheep annually. The climate and rainfall was not suited to cropping, and the land was too stony and arid. The Kakoschke brothers persevered for three years in a row to plant and crop about two hundred acres of wheat in the number 9 paddock, and succeeded in the third year. They reaped the crop, winnowed it and the “cocky chaff” was saved and used to feed the sheep and cattle during the droughts. The “cocky chaff” was not sufficient on its own, but mixed with Pollard, Bran and a little water, it was good feed for the livestock. Draft horses were kept for the heavy work of cultivating, seeding, Dam Sinking, water carting etc. Water carting during the droughts was a major undertaking. Water was carted from the Hundred of Stuart Dam using two x one thousand gallon tanks on German Wagons, two horses each at poles, and one horse in the outrigger. Rarely did the Emu Gully see any flooding. Once while making the No. 9 dam bigger and deeper, (so George tells us), in 1914, the Burra Creek came down in flood, filling the dam and they had water for a long time after, as the dam was built on a rocky solid bottom and seepage was slight. The Burra creek had a fickle course, usually emptying into the Murray River about six miles upstream from Morgan at Nicalapco Station (also known as Brian’s Creek), but can also empty into the Murray at about two and a half miles upstream, and once it was ten miles, so even when it did flood the Burra Creek could not be relied on for water. Once when it came down, as related by George, the Kakoschke’s were camped on a flat area where they were Rabbiting and at about three in the morning they were awoken by a rushing sound. There had been very heavy and extensive rains in The Burra, Hallett, Mt. Bryan and the east of Burra, and the Burra Creek was coming down in flood. There had not been one drop of rain where they had camped near Florieton, but the Burra Creek was running three miles wide where they were camped. The four Kakoschke’s and the cousin had to harness up the horses and wagons and gear and ride over two miles to escape the flood waters. As the family was large not all of them were occupied at home. The sisters were the mainstay of the domestic livestock (cows, pigs etc) and were helped by those brothers whom had had rheumatic fever and were therefore unable to engage in heavy work. The main occupation was Rabbiting, and George relates that they used to camp at Florieton, using the hall there as their headquarters, with the post Office and Store nearby. At one time eight men, Kakoschke brothers Bill, Fred, Rudy, George, and the Faulkner brothers, Albert Hempel, old Pop Hempel, (who was camp cook), and Jack Stewart (who married their sister Lizzie ) trapped rabbits in one big special paddock for three months in an effort to clean them out. They would begin the day at 5am, to bag up the big lines of rabbits hung on fences after they were killed and dressed. The men would go round the traps morning and night, finishing at around mid-night, and some days as late as 2:30am. 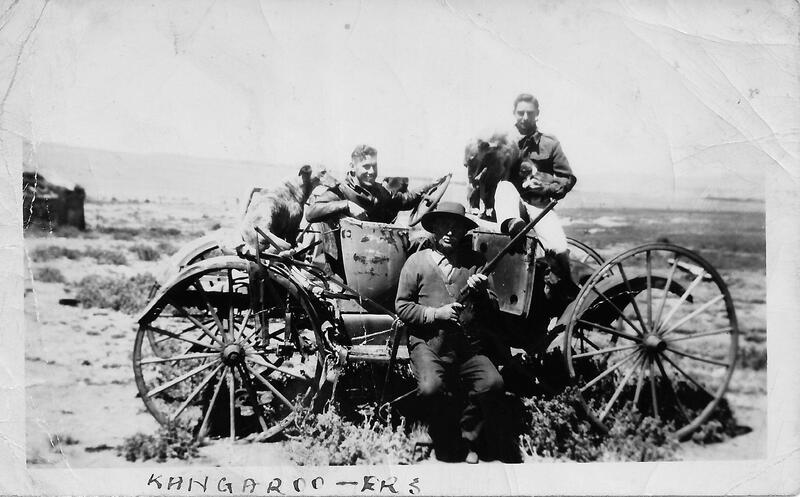 On Fridays the men would load up the drays for Bill, Fred and Jack Stewart to journey to Burra with the pelts and meat, and then home to pick up extra supplies. The rest of the crew would rest and sleep right through till Sunday morning, cook and eat a huge breakfast, and prepare for the next weeks trapping as they waited for the travellers to return. Finally one Sunday, after eating heartily, they went outside to see the older brothers Bill and Fred coming down the track from “The Gums” station (owned by Pearces). They had decided to sell all their Rabbiting outfit as they were tired of trapping. With the monies from this and monies they had amassed from “The Gums” and Florieton Stations, they purchased a Dam and Bore Sinking Plant. The Kakoschke brothers began working the North-Eastern Stations of South Australia, all of whom were searching frantically for water, whether it was from catchment or artesian. Their rate of pay in the beginning was 15/- per week, and later it was increased to 17/- per week. All the money was given to Emilie. They continued in this line of work for a long time, each of them taking their wives and children with them as they grew older, then each of them going off to other lines of work as the country developed and prospered. Always there were two or more to start off each new project, to support each other until things were viable. Once the brothers took on a job of six miles of fencing, which in those times was a huge task, as all the posts had to be cut by hand. 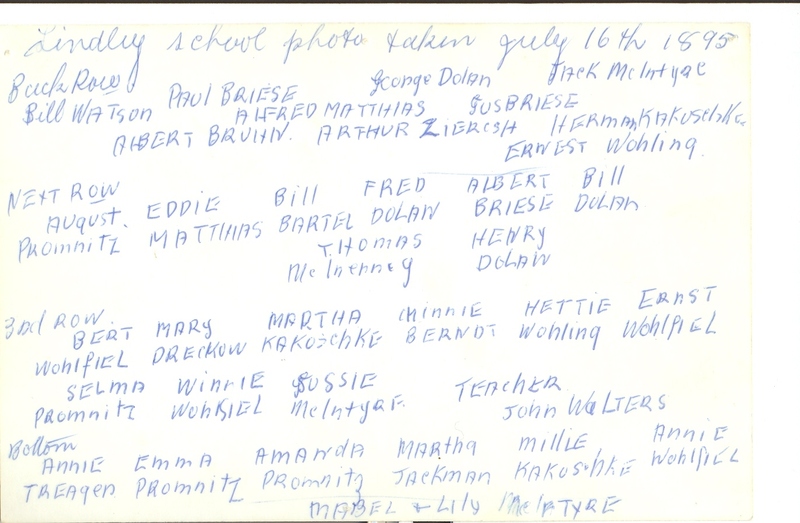 The contract was with the Quondong Station, and Bill, Gus, George and Rudy Kakoschke worked at it, along with Billy Hempel and old Pop Hempel again worked as camp cook. 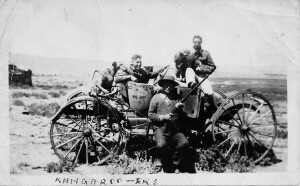 Later most of the brothers left the Morgan district and moved to Burra as work was more abundant around that area. They took up shearing, once again working as a team, quite often their wives going with them around the stations to do the cooking for all the shearing teams. Bag Sewing and Lumping Wheat were two more important contributions to the income of most of the families. Several of the family also diversified into general carting and later into earthmoving. As can be seen, the Kakoschke’s remained on the land, earning their living from it. Recreation in the very early days was non-existent on a planned level, although later, as the area became more settled and transport more readily available, there were local dances to attend at Morgan. Visitors were a rarity also, due to the isolation of Lindley and the lack of transport. One visitor who was looked forward to every six months was an old Indian Hawker known as “Gnarl Singh”. He would trade his wares at “Swamp Farm” and surrounding properties as if they were precious gold and silver and he was made most welcome when he arrived at the house. He would often stay two or three nights to rest himself, and to spell his horses. He was a great tease, according to George, and he would flirt with the girls, particularly Edie, saying she should marry him etc, and Edie and the others would tease him back. He had a big van, two horses in the poles and two spare. The van was stacked from floor to ceiling with all kinds of goods which are needed in a home and on a farm. Clothing for men and women, footwear, jewellery, and hats, buttons, materials, threads and all manner of household goods. It was a travelling general store! No wonder he invoked so much excitement on his arrival at each isolated home. His travels encompassed all of the North-Eastern quarters of South Australia. Gnarl Singh must have brought much pleasure to many people with his happy nature and his much needed fancy goods and wares. One of the favourite pastimes of the sons was hunting and shooting, although Jack apparently never owned a gun. The brothers particularly liked hunting rabbits with their dogs. Fred had two special coursing dogs named Crongie and Queenie. Now these two dogs were very skilled at chasing and bringing down foxes and kangaroos, and tracking down big hares and rabbits. “Fly” was a family dog, but the trio made a formidable hunting team. George goes on to tell us Fly would go out to do the hunting, Queenie would move away from the burrows into the bushes to wait for the incoming rabbits, rounded up by Fly and fleeing for home. Crongie would ‘stand pat’ about thirty yards from the burrows ready to block and stop the rabbits from getting home. Many a time a rabbit would just make it home after leaving a tail or tuft of fur behind in the dog’s mouths. Queenie and Crongie died of poisoning after chewing a dead fowl. George says that he had found it on the roof of a shed (having been put there to bait and kill Chicken Hawks) and threw it down to the ground. George says he never owned up to knowing why the dogs never returned home, and Fred assumed that a kangaroo must have got them. Kangaroos were prolific in the area and on one occasion a kangaroo came right up to the home to get at the water. One of the dogs had got in its way, and the Kangaroo clasped the dog to its chest and hopped into the home-garden dam and tried to drown the dog. Time marches on, and today the beautiful garden and orchard tended so diligently by the family, and the house and outhouses toiled in for so long, are no longer to be seen; just another part of the early South Australian’s struggle into existence, to be turned in to the ground by time an advancing civilisation.